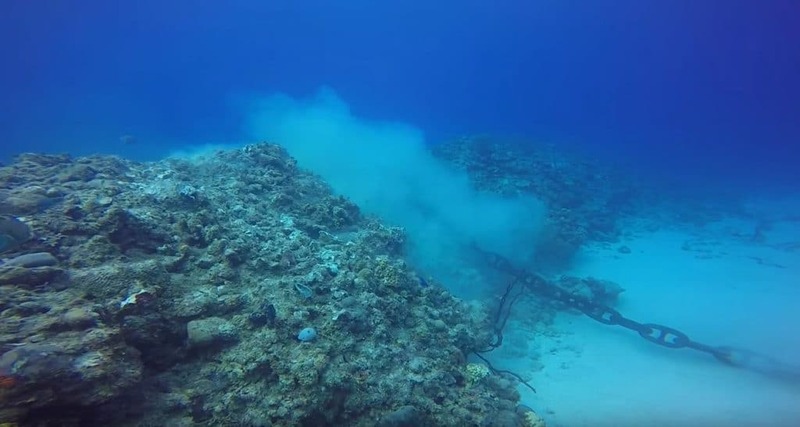 A cruise ship did some significant damage to a coral reef in Grand Cayman while it was anchored there on Tuesday, December 8. 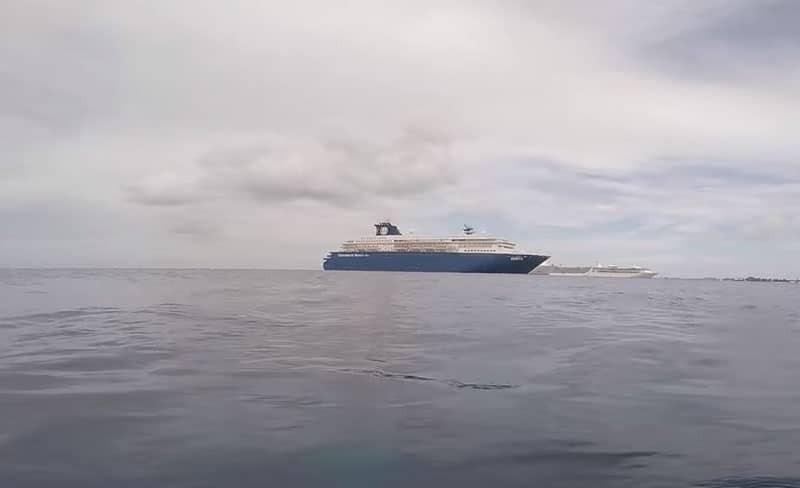 Cayman 27 reports the MV Zenith cruise ship which is currently operated by Croisières de France, a cruise line owned by Spanish based Pullmantur Cruises did significant damage to a section of reef near George Town in the Cayman Islands. Scott Prodahl posted a video of the heartbreaking anchor damage on YouTube which you can watch below. The footage was taken around an hour after the Anchor was first dropped. The problem about this Anchor damage is the Zenith ship was positioned in the correct anchorage zone. Even though the cruise ship can’t be blamed for being in the wrong position its anchor has caused major damage which will take thousands of years to grow back. Some people on the popular social networking site twitter have posted their anger towards Royal Caribbean International which is the parent company of the cruise line which operates the Zenith.
.@greghesp @RoyalCaribbean The ship dropped anchor in the zone designated by the government for anchorage & was not in any protected areas.
.@greghesp We understand the importance of protecting the marine environment & sustaining the well-being of the places we visit. @RCLcorp @pullmantur That's a weak excuse. The video makes it clear the area isn't a regular anchor site. Nor should it be. Cayman Island Authorities are currently planning a major cruise port so that ships will no longer have to anchor. Berths to cater for the worlds largest cruise ship are being planned to continue tourism growth for the Cayman’s. For this to happen parts of the coral reef will have to be destroyed. At the moment passengers have to tender from the ships to shore. In August 2014 the Carnival Magic anchored 200 meters out of the correct anchorage position and as a result damaged some reef. Staff from the Don Fosters’s Dive Cayman also caught the damage on camera. The Zenith ship was built-in 1992 and is 47,255 gross tons and carrying 1,380 passengers. If you're a fan of Game of Thrones then how about a cruise to its filming locations? You can do just that thanks to Variety Cruises.